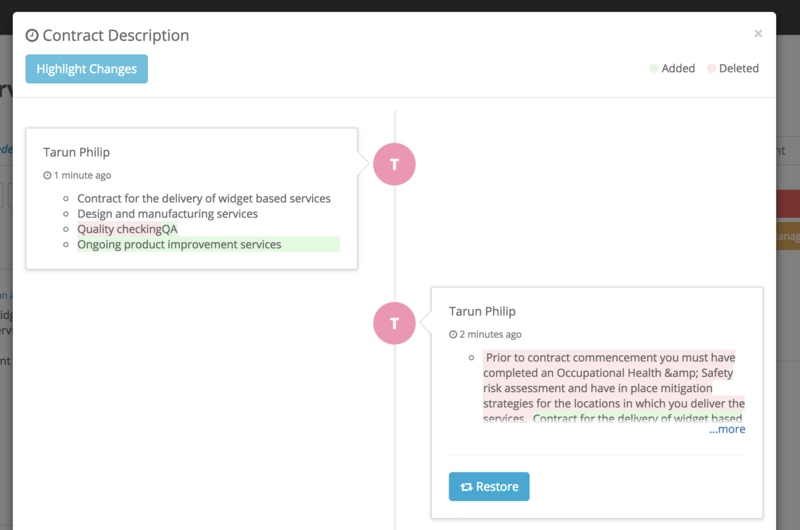 Folio is a web-based Risk, Compliance & Contract Management Software. 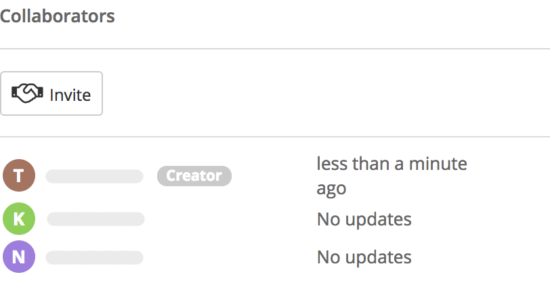 Our new release includes features which allow teams to collaborate, and gives them the ability to view the most recent changes, as well as who made them. Draft away and publish when you are ready! You can now draft a contract or any other type of Folio and invite others to collaborate on it with you. Draft Folio will have temporary keys allocated to them until they are published, when a permanent Folio key is generated. Need input? Invite others to collaborate! Draft Folios will not be visible to anyone else in the Organisation other than the users that you have invited to collaborate. You can also remove their access from the draft at anytime. 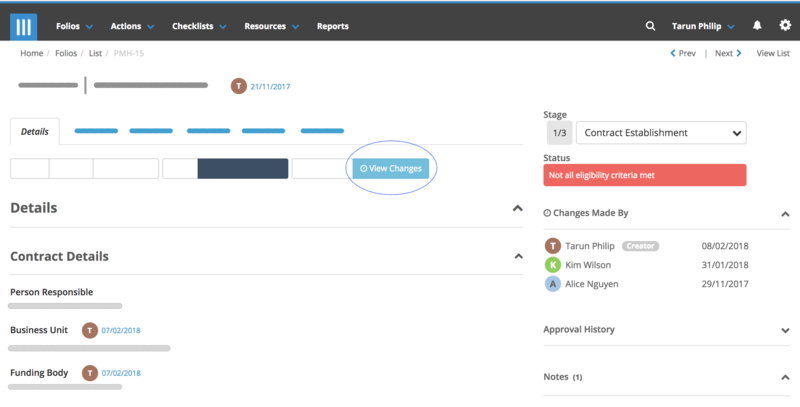 View Changes lets you track what the most recent changes to the Folio were and who made them. Can’t tell what was changed on a text field? A handy Highlight Changes button shows users what was added or deleted between versions. Previous versions of text fields can be rolled back with the Restore button. Folio is a web-based Risk, Compliance & Contract Management Software. We would love to hear your needs and discuss how we can help. You could either call us on (02) 8283 2190 or fill in our short demo request form.